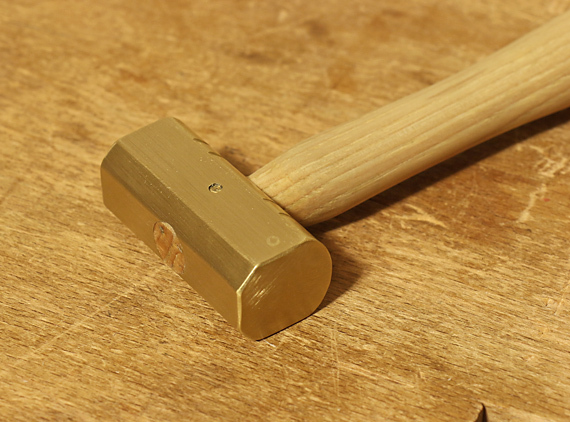 This modified brass hammer is superb for adjusting plane blades. It shares the functional advantages of a small Japanese octagonal steel hammer, but the brass is kinder to blades. I created the quasi-octagonal shape from the original cylindrical head of a Grace USA 8-ounce brass hammer using an 80-grit belt on the Ridgid oscillating vertical belt sander. There was no need to remove the head from the handle. I dressed the corners with a mill file, and then finished everywhere with a medium-grit SandFlex block. I crowned one face (shown) for use on the body of a wooden plane. I left the other face flat. A tiny engraved circle on each side of the hammer indicates the crowned face. The flat sides allow better access and contact of the hammer face to parts such as wooden wedges, the sides of a plane blade, and the chipbreaker of a Japanese plane. The small diagonally-oriented sides permit access to small blades in tight areas such as in a small shoulder plane. I like this hammer better than any of the cylindrical or square hammers sold for the same purpose. It also retains its general use when a lightweight, soft-metal hammer is needed. You can find the Grace hammer for less than $20. 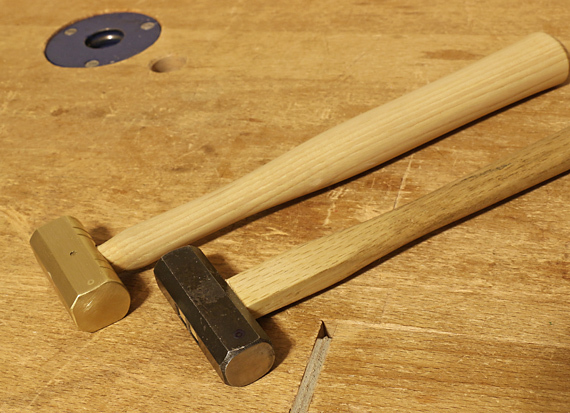 The modified brass hammer is shown below, along with a steel Japanese hammer. If you truly want to be kind to your planes (blades and dai) you would be wiser to use a wooden or plastic mallet (or metal hammer with plastic inserts). In the case of the dai, brass is not superior to steel. Crack just one dai and you will get my point instantly. I mentioned the brass as being kinder to blades. 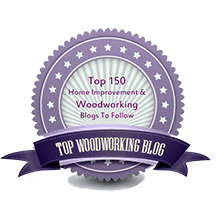 I did not purport brass as being better than steel for wooden plane bodies. I don’t think it differs significantly from steel for wooden plane bodies, Western or Japanese. 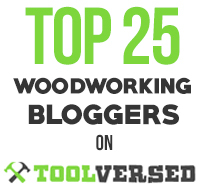 I have been hitting both types of planes with a steel hammer for more than 30 years (as do most authors on Japanese tools). I have never cracked a dai or Western wooden plane body. I prefer a metal hammer for tapping both blades and wooden plane bodies because it gives a sharper hit. In other words, the transfer of force is faster. This gives me a more palpable sense of the amount of impact, which allows for more sensitive adjustments. That said, if you prefer a hammer with a softer face, Grace-USA makes brass hammers with one face having a replaceable Delrin tip. http://www.graceusatools.com/item-details.php?item_id=1&category_id=1 I guess these hammers could be modified similarly as I did mine. I think all of this is mostly a matter of personal preference, as long as you get the results you’re after.